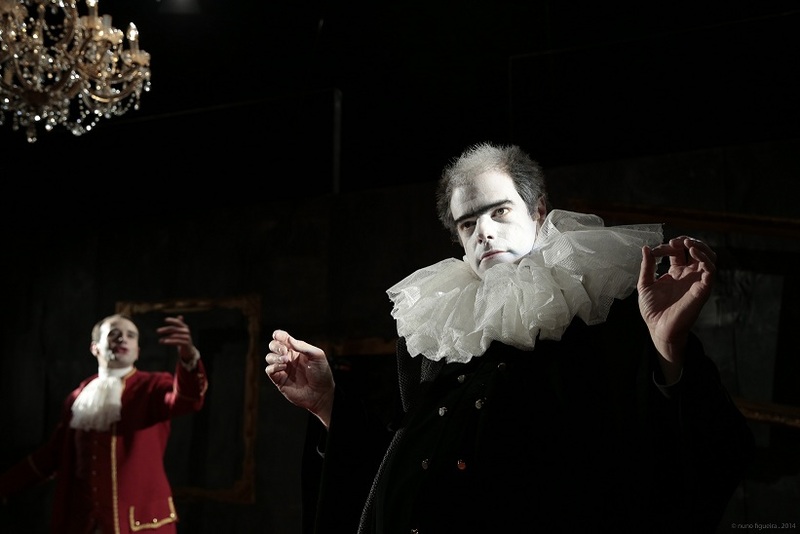 At what other programmed/curated Festival can you go from seeing a genius Slovenian production of Heiner Müller to a pure museum piece of Commedia dell’Arte? As I type this, the director of the piece (I think/assume) is behind me in the open air Festival club talking at some length about the political import behind the piece. I think. (Obviously he’s doing it in Portuguese, so your guess is as good as mine, but the words “political” and “theatre” are coming up at a right old rate.) On the political import of the piece, I have this observation to make: at one point, someone said the word “Capitalism!” and rubbed their hands together. Another observation I can make is that my French and German colleagues here snuck out of the production early. As it goes, I was actually reasonably charmed. 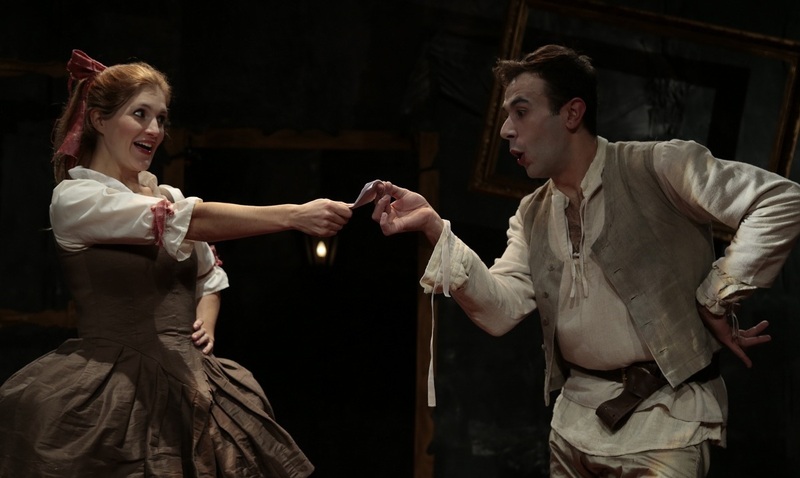 Al Pantalone was tightly performed and executed with ease by a clearly talented ensemble. It was also nicely designed, and communicated surprisingly well from the large, outdoor stage where it played. I’m surprised that the director is pontificating so hard over there, though. It struck me as an enjoyable piece of fluff, with some less enjoyable crappy gender essentialism thrown in because tradition. I obviously failed to notice whatever the hell it was doing that was political. Regular readers will have recently re-familiarised themselves with what I think about clowns. 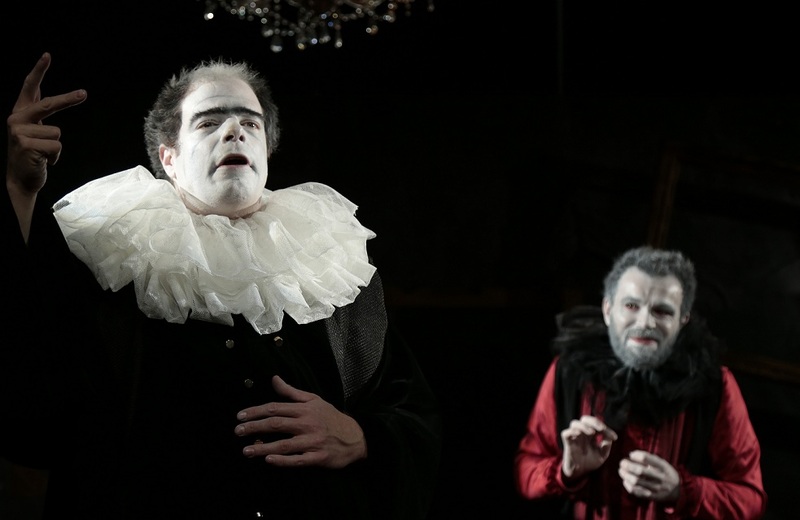 And, on one hand, I’d happily see all commedia dell’arte wiped from the face of the world; on the other hand, though, this is variously the genre that succeeds Plautus [and Shakespeare? ], and inspires Goldoni, Moliere, The Magic Flute, and probably some other things that are nearly worth hanging on to (halfway through that sentence, I realise I’m also not mad keen on the Magic Flute or Goldoni, but you get my point: it’s a big old tradition thing, and is at the very least ripe for subversion, critique, and appropriation, so seeing quite a reverential is at least of interest to theatre trainspotters). In this instance, if it was being subverted, then the subversion was very much at the level of the text, rather than any observable changes to the visual proceedings which saw two older men, one young man, and only one (young) woman, charging slowly about playing what seemed like a pretty standard “rom-com” about a young woman being molested by old blokes and falling in love with a young idiot. Still, the characterisation of the old blokes was quite funny. Zanni set my teeth on edge like nothing else, and the woman’s part amounted to: “Love-interest in low-cut top. Simpers”. Not sure there’s much else I can usefully say about it really. I liked it, but found it politically objectionable. I’d be interested to know how it was politcal to the director, because, without words, it looked like a sexist car-crash. I wonder if that’s a new Best Acid Test for sexism – one which defeats the “we were being ironic” defence in a single stroke. No. Just no. Teeth-on-edge infuriating.